James Iapalucci is the Kingsmen new quarterback and he explained his work ethic helped him prepare to lead the Kingsmen. A 6-foot-1, 180-pound senior, Iapalucci talked about how past quarterbacks for Penn, Zach Oakley (now a defensive back for Central Michigan) and Camden Bohn (now a quarterback at Harvard), helped him in the years leading up to calling the signals for the Kingsmen. “They both set a example at Penn of how to lead a team and now I am trying to follow it,” Iapalucci said. 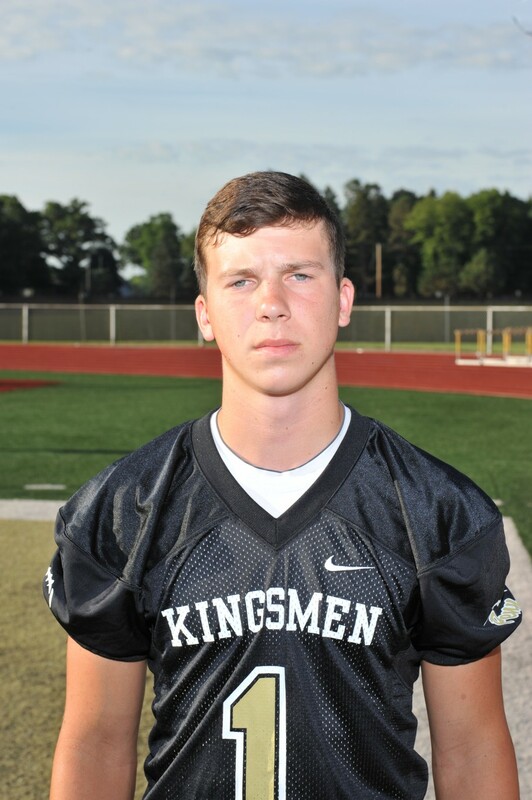 Leading the Kingsmen to a 4-0 record, Iapalucci said he is feeling pretty comfortable, but there is always stuff to polish and work on, but he knows that is what practice is for. Iapalucci is a dual-threat quarterback. He is 22-of-42 for 249 yards and three TD’s passing, and he has rushed 41 times for 153 yards and two TD’s. Most importantly, Penn’s offensive hasn’t committed a turnover in Iapalucci’s four starts. Iapalucci said that he worked hard in the summer to earn the position. “We worked hard as a team over the summer and I am impressed as to how far we have come since those summer workouts,” Iapalucci said. Iapalucci’s main goal as Penn’s senior quarterback is to return to Indy and win a state championship game. James Iapalaucci is going to be determined for Penn to do the best they can possibly do and he is gonna strive to do his best and be a good leader for this team.